Military chiefs have stepped into the row over plans to run the access road to a proposed new housing scheme past quiet cul-de-sacs. Developer Tulloch of Cummingston wants to build 278 homes at Sunbank in Lossiemouth. But the firm’s plans to create an access to the town’s Boyd Anderson Drive via Halliman Way and Fisher Place have been heavily criticised. The application for the residential scheme had been due to be considered by Moray Council’s planning committee yesterday. But representatives of the nearby RAF Lossiemouth base asked to be allowed further time to inspect the proposal. 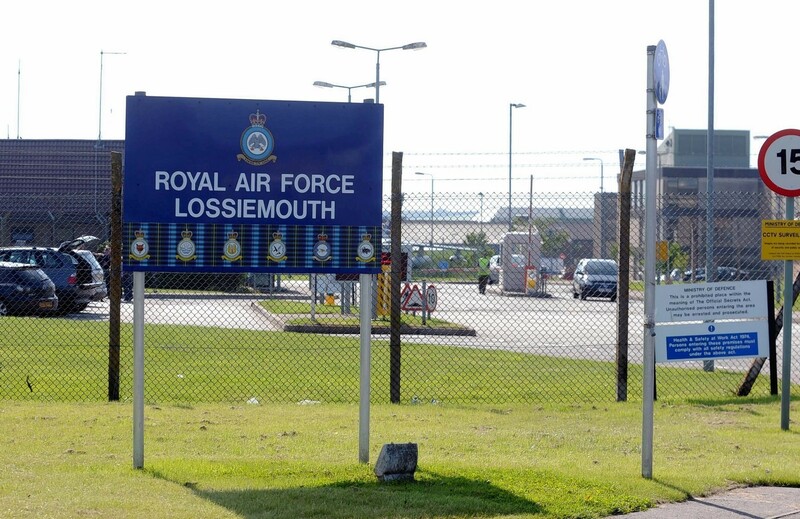 A Ministry of Defence spokeswoman said: “We are currently considering the application for a housing development near RAF Lossiemouth and the effect this may have on radar and other aerodrome safeguarding requirements relating to the station. Tulloch of Cummingston manager, John Tulloch, said last night: “We can’t go into too much detail on our discussions with the MoD, but it’s something we’re working on presently. The Stop the Boyd Anderson Drive (BAD) Access Group has protested against the plans since they were first announced, fearing the use of two residential cul-de-sacs to access the site would “impinge on the quality of residents’ lives”. Group member Robert Murdoch said: “It is rather frustrating that this will prolong our agony as we await a decision. A council spokesman said: “The MoD had initially indicated that it had no objection to the development, but subsequently requested more time to study the proposals.